This was my first trip outside the Front Range in Colorado, and really my first true off trail experience...a big step towards becoming the climber I am today. It was early September of 2009 and I was living with my new roommate Josh who decided he would take me to see what Colorado was really like. 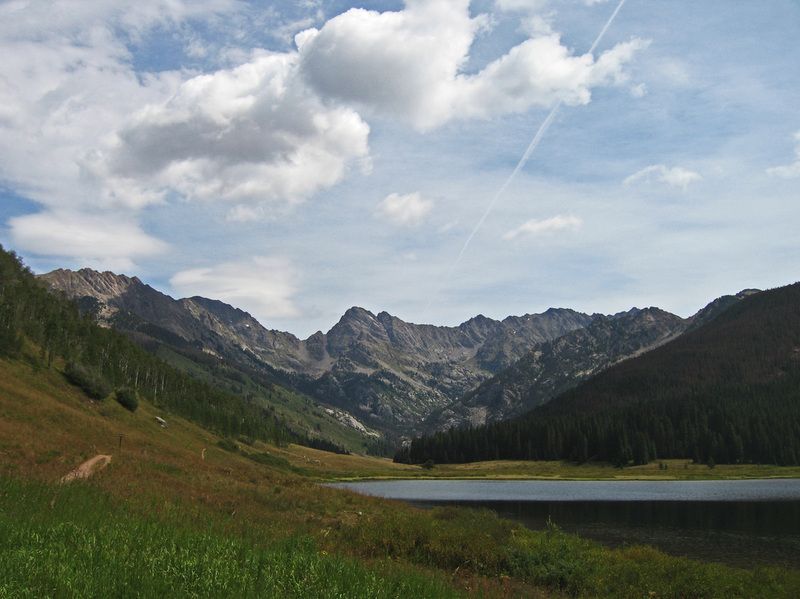 We went out and drove to Piney Lake where we got an early start up the trail. 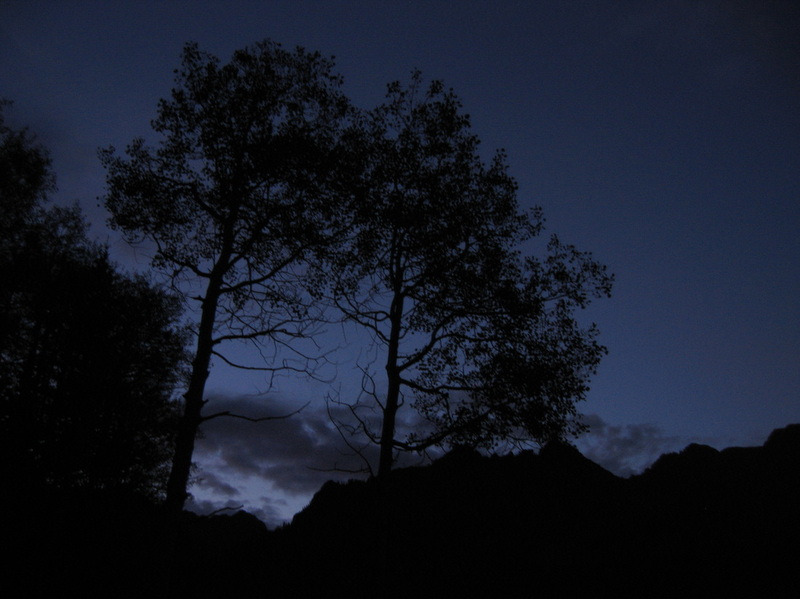 As twilight increased, the aspen trees began to silhouette and the sky turned a deep blue color. By the time we reached the point where we had to leave the main trail, the sun was up, and we roamed around awhile before we located the boot path heading up towards Kneeknocker Pass. This steep trail was brushy and damp but not too steep. Despite just coming back from sea level, I was making it up well. When we got to treeline and into the beautiful high alpine basin below the pass I was amazed at how different this area was compared to the Front Range. Since this was in 2009, I had just about zero off trail experience let along much scrambling or climbing experience so getting to this basin was extremely satisfying to me but Josh wanted to go further so I followed. 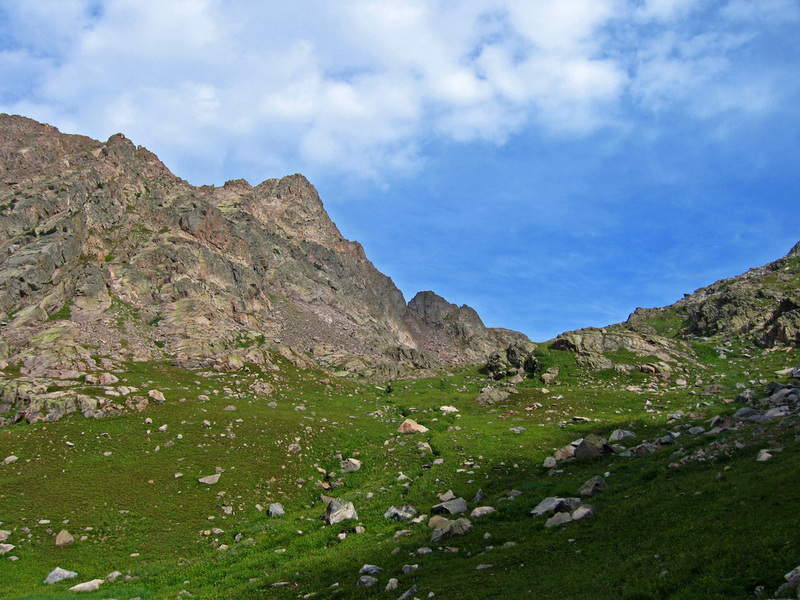 We walked across the nice flat grassy area and began hiking up the slope to the pass. At first it wasn't so bad but higher up I began to get uncomfortable (hilarious I know!) and kept asking Josh if people actually did hike on this type of stuff. It was only some loose steep talus but I was a noob! We finally made it to the pass at which point Josh took a look to the west and saw clouds building and said we would have to hurry up. Looking over the other side of the pass, there was a decent sized snowfield. Now I had zero experience on snow and I didn't even know what an ice axe even was but Josh led down and tried to find a way around but eventually just walked the edge. I followed but quickly slipped and slid down a ways to the rocks below the snow. I was left with a bruised shin and Josh said it was probably best if we retreated. We scrambled back up on some rock bands to the pass (scared me half to death!) and slowly descended down back to the basin. The hike out was really pretty as the aspen trees were just beginning to change color. Looking back on this trip, this not only was my first off trail/scrambling mountain experience, but also the beginning of my progression as a mountaineer, the beginning of my love for Colorado, and the beginning of a long term friendship. 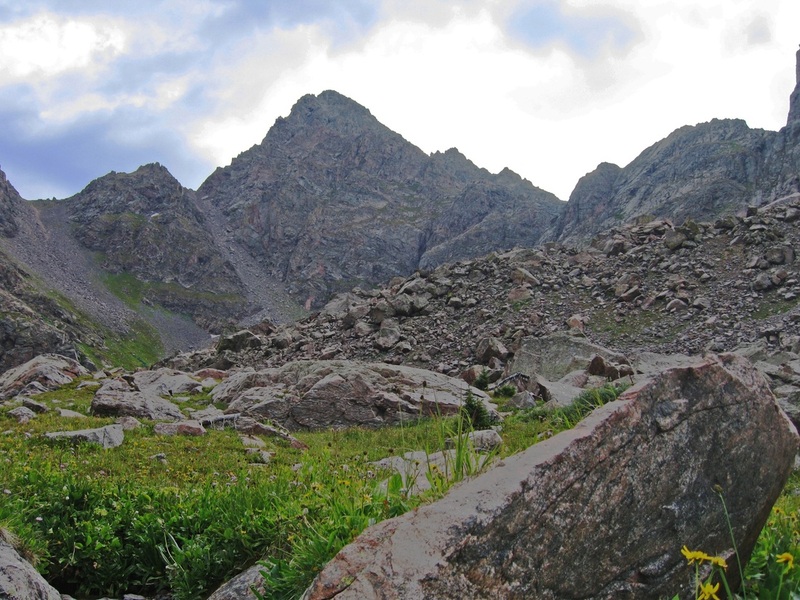 Although I may have eventually started more scrambling and climbing peaks, Josh is credited for introducing it to me and I was hooked right away.